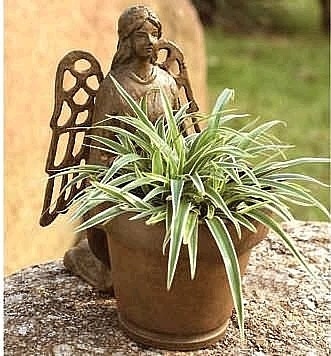 Usher in some heavenly presence to the garden with our winged angel sculpture and planter designed to hold some of your plantings. Created from cast iron and resin. Plant not included.